After retiring from a career in publishing and graphic arts in Portland, Ore., Linda Holland immersed herself in the arts. Joining local art groups in Hillsboro and becoming involved in local art and culture discussions, she eventually found her home by forming a non-profit artists' group, Tualatin Valley Artists, and starting Influence Gallery in Hillsboro in 2007. Even though the gallery closed in 2011, the music side of the non-profit group is still active. Watercolor is Holland's medium of choice and she paints as often as she can while balancing other volunteer activities such as involvement in the Tuesday Marketplace in Hillsboro where she arranges for artists for the Artist of the Week booth and also demonstrates her painting techniques for the public every week. An avid volunteer, she currently spends time helping out at the Washington County Museum located at the Civic Center downtown Hillsboro. Holland also runs a business advocating for artists and musicians called Linda’s List. 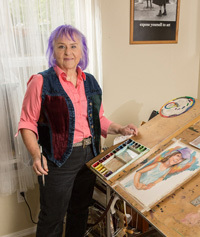 She arranges to show artists’ artwork at the Summa Real Estate offices in Hillsboro and Forest Grove for month-long shows and then plans their opening receptions with musical entertainment including the public relations. The proprietor of Summa offers space and provides food and wine as her way of supporting the arts and the community. With Holland’s connections artists are able to show and sell their art and have a gallery experience without the expense. 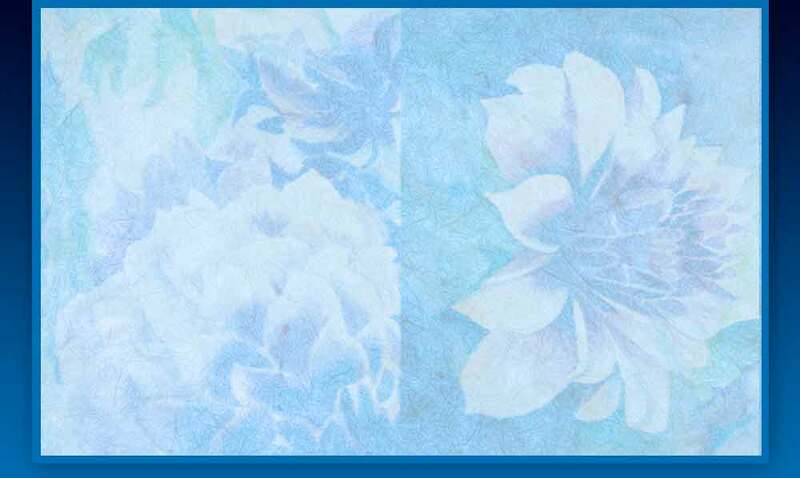 Over 30 years’ experience painting, Holland’s watercolor artwork gained popularity with a series of dragon and baby paintings and she then went on to portraitures and kindred depictions. But throughout the periods of painting different subjects she continued painting vivid florals. “Painting flowers soothes my soul,” she said. Originally from Montana, she moved to Oregon 25 years ago. Hillsboro has been her home since then and art has always been a part of her life.